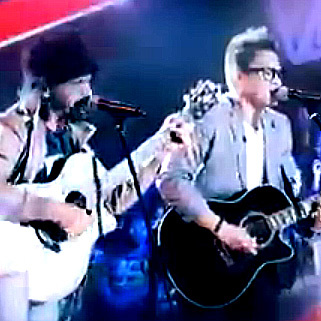 I will remember the last weekend of the Voice of the Philippines for two outstanding male battles that were sung not as though the artists were trying to out-sing each other but rather as though in a melodic, well-arranged and professionally sung duet. In fact, my overriding impression while listening to the two battles was that I could well have been listening to recordings. The best of the lot, in my humble opinion, was the battle between Maki Ricafort and Hans Dimayuga last Sunday. To be perfectly honest, I dismissed both gentlemen after the blind auditions as middling singers who will soon be home to take the garbage out. I changed my mind almost as soon as Ricafort opened with the song ‘What About Love’ by Lemar. He was sensational! So was Dimayuga, who even played around with some well-controlled falsettos. I had dismissed the two as being in the competition to make up the numbers; but last night’s ‘battle’ had me thinking it unfortunate that they were competing against each other and that one of them had to go home. As with the Ricafort-Dimayuga tandem, this battle was sung with great melodies and could well have been a recording. 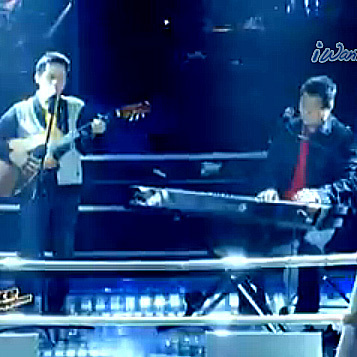 Both Shy and Podolig sang great individually but were even better when they blended their voices together. It was goosebumps from start to finish! Theirs was, in my humble opinion, the best sing-off since the Battles started; and primarily because each sang to complement rather than outdo the other. If the two decide to come together as a duet, I will not mind lining up to buy their first album. Coach Sarah G, after what seemed like an eternity as is always the case with her, finally opted to put Ricafort through. She probably got that one just about right; although there was not an awful lot to choose from between the two. They both sounded exceptionally good on the night. The second best battle ever in my opinion was that between Daryl Shy and MJ Podolig last Saturday. The song was the classic OPM ‘Tuwing Umuulan,’ curiously appropriate for the night with the impending arrival of typhoon Labuyô. Lea Salonga decided to put Shy through; but again there was not a lot to choose from between the two because both were equally good and either would have been a deserving winner. While I agree with the decision, I also think that Shy nipped the opposition more on charm than musicality. Shy is this archaic sort of folksy singer who comes across as Florante-esque complete with acoustic guitar, long hair and hat. The song choice was probably tailor-made for him. My greatest disappointment over the weekend was the battle between power singer Janice Javier and Lance Fabros. On experience, technique and range, Javier – a professional band singer based in Bangkok – was probably most people’s odds on early favourite to win the competition. While it was an easy enough decision for apl.de.ap to slip her through to the next level of the competition, the gap between her and Fabros was surprisingly not that big on the night. Fabros sang better than he did during the blind auditions while Javier did exactly the opposite. To be fair, both sounded good individually. It was when they came together that was the biggest disappointment. The blending was – not to mince words – just plain horrible. While others strive for musical harmony despite the competitive nature of the Battles, these two were at each other’s throats. My guess is that either blending is not apl.de.ap’s forte or Fabros was so intimidated by Javier’s deserved reputation that he felt he had no recourse but to fight tooth and nail – at the expense of the harmonies, of course. The other disappointment was Salonga’s decision to pit kundiman princess Juvie Pelos against RJ de la Fuente and Rainier Acosta. Fans of The Voice will remember her as the cheeky little girl who had the utter gall to do an excerpt from the musical ‘Uwahig’ and pull it off sensationally. She never had a chance with Marvin Gaye’s ‘What’s Goin’ On;’ although, that said, it is not unusual for coaches to force singers out of their comfort zones if just to see what stuff they are made of. The two Salongas – Lea and her brother Gerard – both thought Pelos and Acosta overdid the singing. Lea was right to point out that for Acosta, it was more about himself than the song, which I rather thought so myself. Gerard used the metaphor of opening a candy wrapper with a sledgehammer to favour de la Fuente’s laid back singing style; and sister Lea agreed with him. I did so, too. On the other hand, I can argue that the song choice always favoured de la Fuente’s style. There were those who disagreed with Bamboo’s decision; but I, for once, could understand it. There was just plain nothing between the two ladies in terms of musicality. Both were technically excellent. I myself went for Fabregas not for the musical quality but more for her better stage presence. I again agreed with Bamboo after Sunday’s battle between Denise Sagun and Talia Reyes; if I thought his choice of Red Hot Chilli Pepper’s ‘Under the Bridge’ as a little odd for two pretty ladies. Sagun sang with this screechy little voice that was so barangay singing contest; and with the higher notes, she enunciated as though she had something inside her mouth. In contrast, Reyes was silky smooth and professional, both in her on-stage demeanour and her voice. It was an easy decision for Bamboo, in the end, to slip her through. I thought Sarah G was just about right but I think she was swayed more by the Golden Girl’s vocal range than anything. Not that I am even a fan of it when she reaches for the high notes. Other will think Tina Turner when she does. I rather think Matutina. It is not easy on the ears. Probably the worst battle in my opinion over the weekend was that between Emmanuelle and Jessica Reynoso. I initially thought that Pink’s ‘Give Me a Reason’ was better suited to Emmanuelle’s modulated voice rather than Reynoso’s power. Midway through, I thought the former ran into some pitch problems and Reynoso just took over. As with the Fabros-Javier sing-off, the blending was again all over the place and not kind to the ears at all. In the end, it was an easy enough decision for apl.de.ap to slip Reynoso through. That said, I rather felt both singers underperformed on the night.